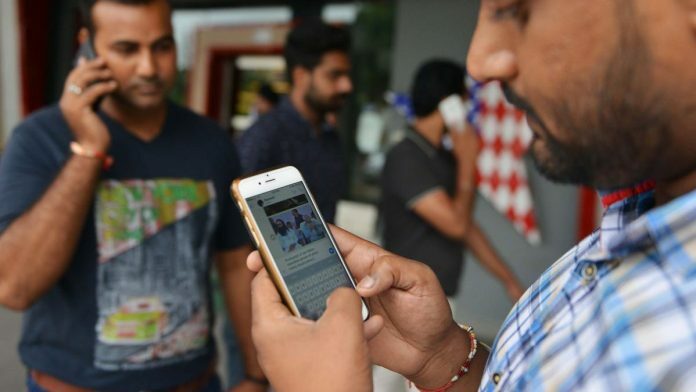 India's draft regulations to tackle fake news propose to impose drastic if not impossible obligations on social media platforms. For online trolls, India might be the world’s fattest target. Nearly a billion people are registered to vote in the country’s upcoming elections, the largest in history. Meanwhile, India is one of the fastest-growing markets for social-media platforms and messaging apps. The potential for hoaxes, slander, rumors and sundry other misinformation to influence voters is vast. India’s efforts to combat that threat, however, risk undermining the very democracy they’re meant to save. The challenge India faces is emblematic. Misinformation is upending politics and worsening tensions across the developing world. It has even contributed to violence, from the pogroms of Rohingya in Myanmar to lynchings in India sparked by rumors on WhatsApp. Several vulnerable democracies — including Afghanistan, Indonesia, the Philippines and Thailand — are also going to the polls this year. India’s approach to the problem is something of a test case. Unfortunately, it’s making a hash of it. A recently published set of draft regulations would impose drastic if not impossible obligations on platforms. One rule would force them to break end-to-end encryption if asked to trace the source of objectionable content, a demand that could worsen security, eliminate privacy, and undermine freedom of speech. Another rule would require companies to use automated filters to police content that is, among other things, “blasphemous, defamatory, obscene, pornographic, paedophilic, libellous, invasive of another’s privacy, hateful, or racially, ethnically objectionable, disparaging, relating or encouraging money laundering or gambling, or otherwise unlawful in any manner whatever.” The algorithm that could decide what content falls into such a broad range of categories hasn’t been invented yet. Making matters worse, such vaguely written strictures are a standing invitation to official abuse. Virtually any government agency could demand that posts be taken down or authors traced. It’s not hard to imagine such powers being misused to censor criticism, attack political opponents or facilitate corruption. A better approach is clearly needed. As India and other countries confront this challenge, their primary goal should be protecting citizens and democratic discourse. That means chipping away at disinformation without violating fundamental privacy rights or suppressing freedom of speech. Tech companies will of course be on the front lines of this fight. Although they’ve taken some welcome steps recently — including hiring more staff to police disinformation, making political ads more transparent, and weeding out fake accounts — they’ll need to do more. Boosting investment in fact-checkers, public-education campaigns, and tools that help users learn to question what they encounter online would be a good start. Platforms should also warn users about fake content they’re likely to see and make it easier to flag dubious posts for fact-checking. Giving independent researchers access to internal data, meanwhile, could help weed out potential vulnerabilities. A problem of this magnitude can’t simply be outsourced, however. Governments, too, need to step up. As a start, they should take a zero-tolerance approach to mob violence and better deploy laws against incitement as a deterrent. They also need to invest in public-education campaigns that help users grow more skeptical of online content and more judicious about sharing it. At election time, finally, it’s crucial that politicians restrain themselves and their operatives from spreading fake news of their own.